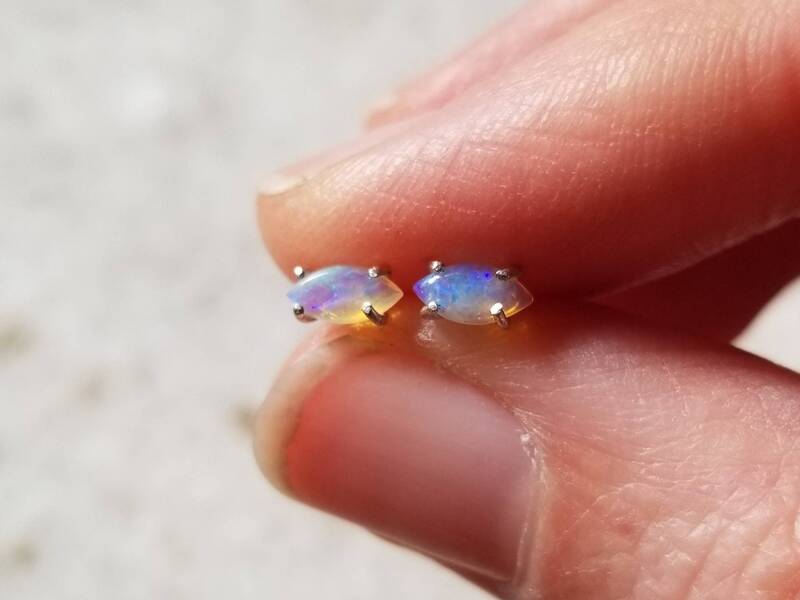 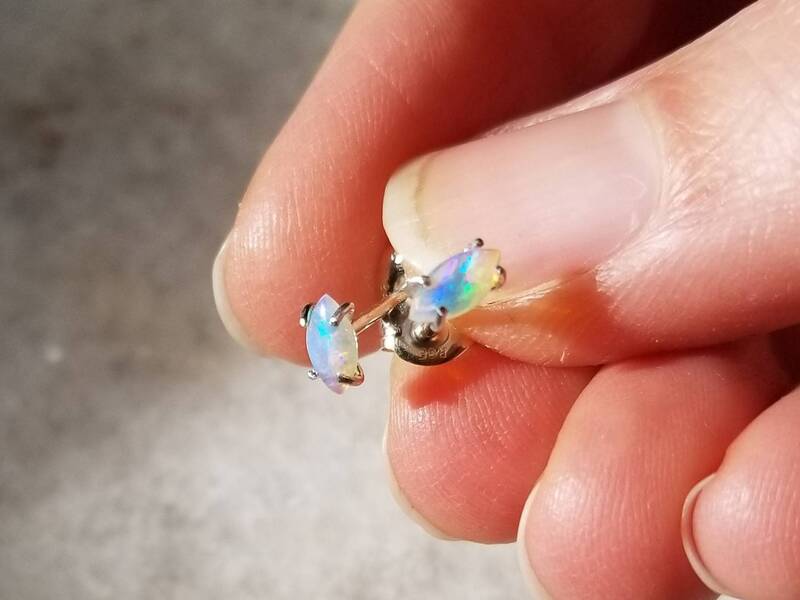 Tiny marquis cut Australian opals are set in hand made dainty claws. 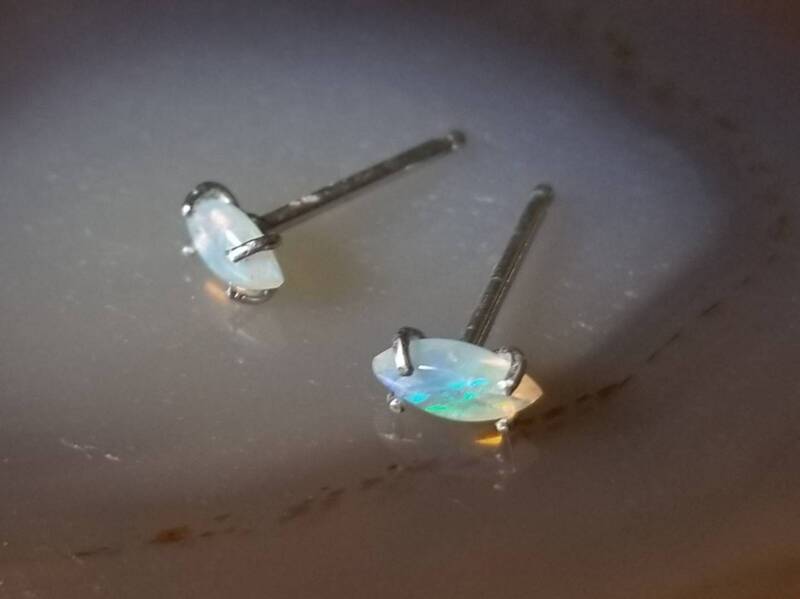 The 6x3mm stones are almost translucent with a multitude of colors flashing through them. 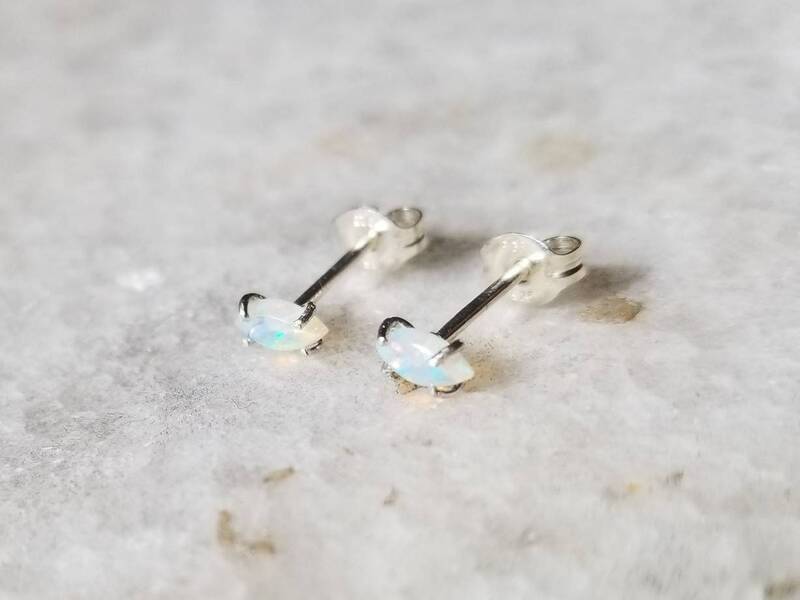 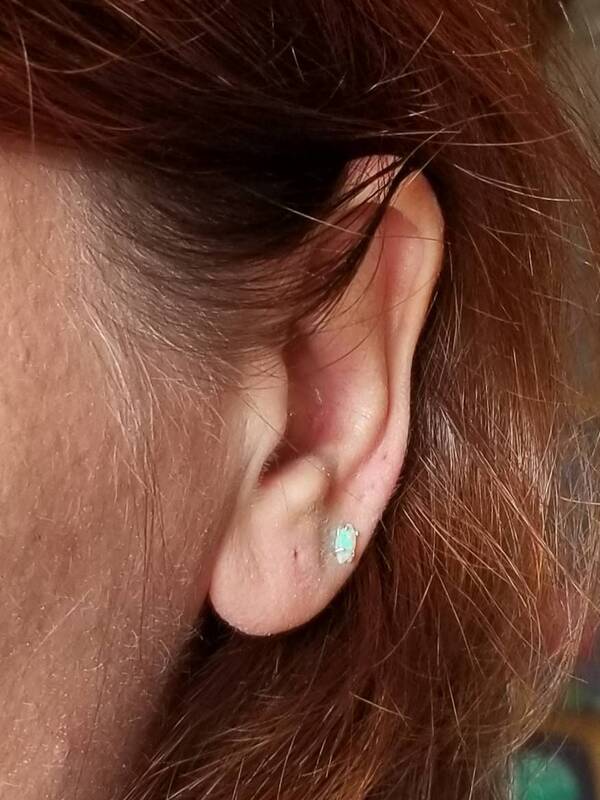 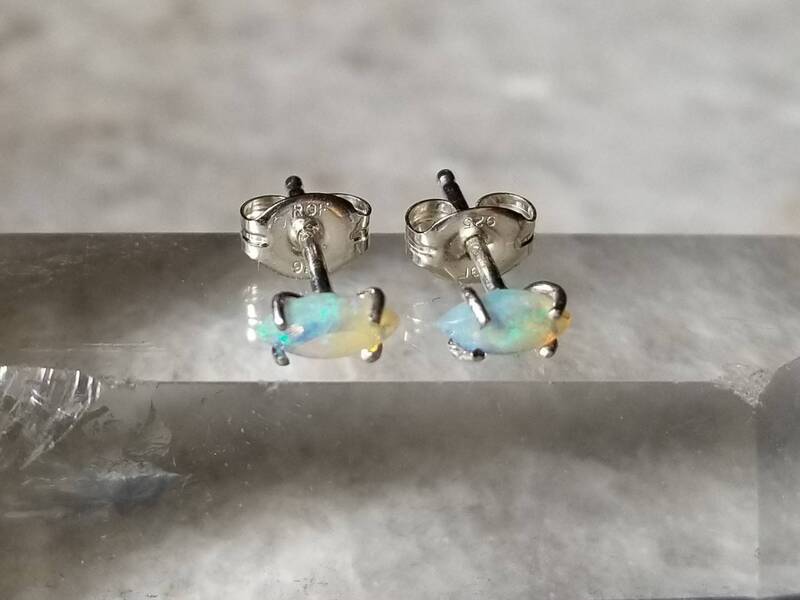 Subtle and elegant, they are perfect for the minimal look or second piercing. 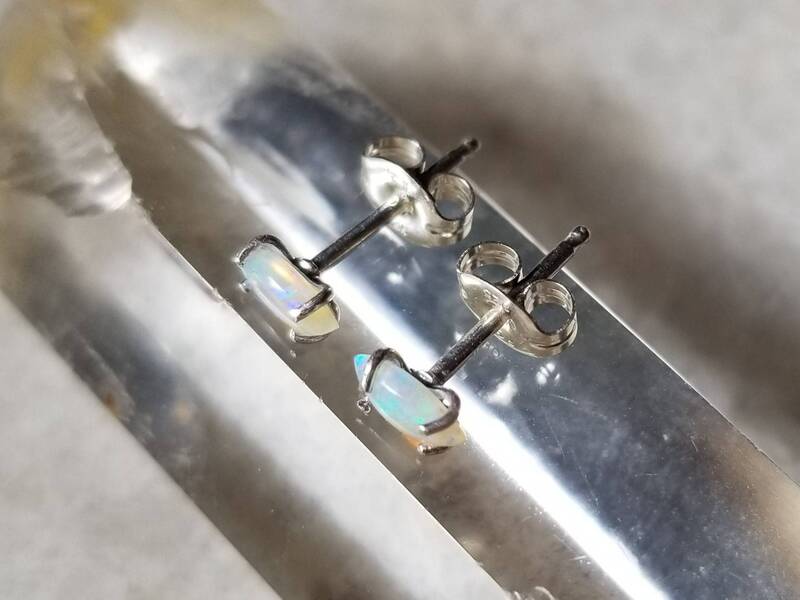 The posts and backs are sterling silver. 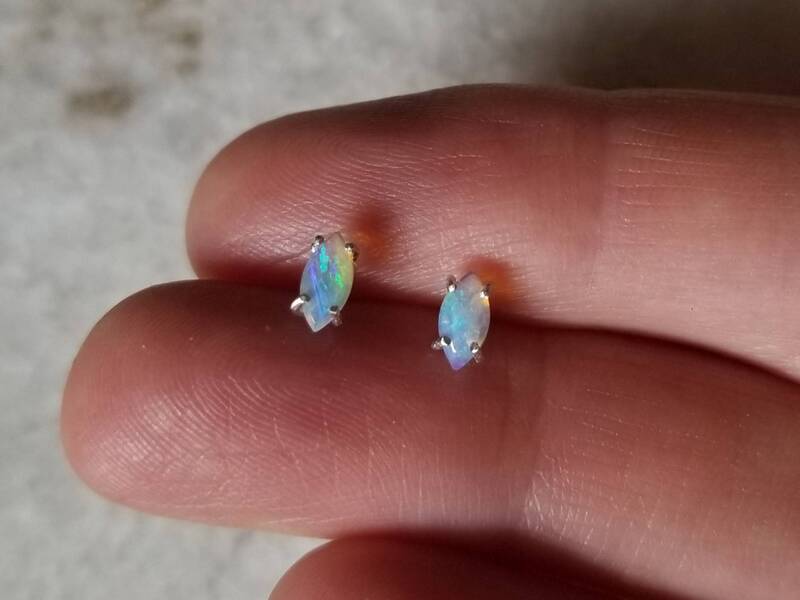 Also available in 14k gold, please allow one week for me to create them.